Make the Payment using freecharge wallet. How Is Ordering Food from Zomato Beneficial For You? What Is the Current Zomato Freecharge Offer? Zomato is among the most popular food ordering websites in India. With a single click, you can order food online or can book a table at the finest restaurant in your city. Besides such an impressive service, Zomato allows its customers to grab on the best deals and discounts on their order. For this, users require to enter available Zomato promo code at Zomato coupon before placing their offer. Along with this, you can use your e-wallets, such as Freecharge to make payment. Just use Freecharge Zomato offer to get the best price on your order. Whenever you feel hungry, you can simply download the Zomato app on your smartphone and place your order from a nearby restaurant. You only need to select from the suggested services such as a pocket-friendly outlet, breakfast, lunch, dinner, cafe, and more and Zomato will present you with plenty of options to choose from. As the delivery charges are completely free (unless specified), you can order food online and get it delivered right at your doorsteps. However, there is no delivery time taken to deliver the food as it depends on your location and type of food that you have ordered. You don't have to worry about the food quality as Zomato believes in delivering hot and fresh food from top-class restaurants. Easy payment options allow you to place your food even when you are cashless. Now, no more hassle of keeping change or the exact amount of money. You can make payment via net banking or can even use e-wallets for your order. Along with this, you can make use of amazing Zomato offers such as Freecharge Zomato offer to save a few bucks from your total bill. When you place your order food online via Zomato, you make use of your Freecharge wallet along with the exciting offers to get an amazing discount on your order. For this, you only need to make payment using your Freecharge wallet. However, this offer is applicable to the first time users only. The maximum cashback amount that a user can earn using this Freecharge Offer on Zomato is Rs. 100. Before making the payment on Zomato application or website, just use the promo code FC20. Another Zomato Freecharge offer that a user can avail is flat Rs. 75 cashback offer. On placing the order of Rs. 150 or above, you can win flat Rs.75 cash back in your Freecharge wallet. No Freecharge coupon code is required to take advantage of this instant cashback offer. Zomato new user offer: Grab Flat Rs 150 OFF on your first order on the website - Rs 75 off on your 1st order + Rs 75 cashback as Zomato Credits, which can be availed on any subsequent online paid orders. The code 'ORDER150' is applicable for your first successful order. Valid till 31st August 2018. Order online from zomato web and app to avail flat Rs 200 Cashback on first order. Minimum cart value of Rs 250 is needed. Use promo code 'GRAB200' to avail discount on first order. Valid till 31st Oct 2018. Zomato the pioneer in food delivery and reviews brings fabulous offer where a first time user gets a flat Rs 150 instant discount on your first order @ Zomato. Use code: KWIK150 on Zomato & save Rs 150 off on your first online order - Get Rs 75 instant discount + Rs 75 cashback as Zomato Credits, which can be availed on any subsequent online paid orders. Discount is applicable only for orders above Rs 300. Offer valid only in Delhi-NCR, Mumbai, Bangalore, Chandigarh, Kolkata, Ahmedabad, Pune,Chennai, Jaipur, Kochi, Coimbatore, Indore, Nagpur, Hyderabad, Vadodara. KWIK150 is valid till 31 December, 2018. Also get flat 5% SuperCash. Maximum MobiKwik SuperCash is capped at Rs 50. Offer can be availed once per week, week resets every Monday. Offer valid from 6th June - 31st August, 2018. Also, Use pay later option with simpl payment mode for online orders. 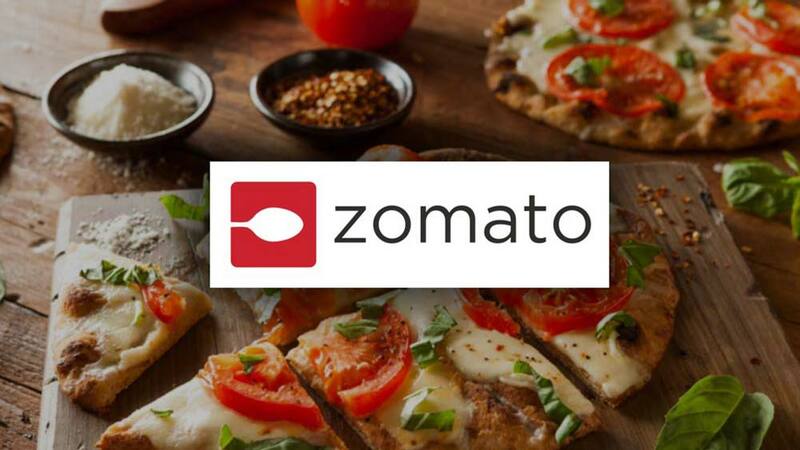 Get 33% discount + up to Rs.100 cashback on your first order at Zomato paid using Paytm. Maximum discount of Rs.75, plus maximum cashback of Rs.100. Use Promo code PAYTMZ33 to avail the Cashback. Valid only on first ever order on Zomato, paid using Paytm.